Residents of Papworth will be aware that between January and April 1st 2013 a dispersal order was in place for the parish to control anti-social motorists. The order was put in place for three months having been authorised by Superintendent Paul Fullwood. Officers from the Safer Neighbourhood Team gathered statements from over 30 people who had complained about noise and disruption caused by large groups meeting in the village. Our work with local residents, businesses and councillors gave us a clear picture of the misery and annoyance caused by these gatherings. The order was believed to be the first use of this kind in the UK, in trying to tackle the problem of so called “boy racers”. Orders of this kind can only be instigated after consultation with the district authority and authorisation from a senior Police Officer, and any order put in place must be reviewed every three months. The order proved to be successful; in the three month period only one report was taken about vehicle nuisance. Whilst the order has been in place the Safer Neighbourhood Team has been contacted by a number of individuals who are involved in organising car enthusiast meetings to discuss the problems. It has provided an excellent opportunity to try and resolve some of the longer term issues. In April 2013 the order was reviewed and the decision was taken not to renew it. Having consulted again with local councillors and residents we believe that it is now appropriate to instigate longer term plans to combat the problem. A dispersal order of this kind cannot be indefinite, so for the future the Safer Neighbourhood Team remain in contact with a number of local residents who provided information for the initial order. Should a problem occur again in the future the team will be able to swiftly re-evaluate the need for a new order. Residents who witness anti-social driving should report it immediately to allow officers to attend. In the longer term residents’ reports help build a more accurate picture, and justification for any new dispersal order should it be required. Three priorities were agreed at the April meeting. Views from those in attendance and those who had completed an online survey, including some pupils from Sawston Village College, helped to decide what the priorities should be. Details of crimes and ASB incidents from the previous 3 months were also available via the panel profile which was posted prior to the meeting. New Road and Babraham Road,Sawston; Pampisford Road and High Street, Abington; High Street, Babraham; Brewery Road and London Road, Pampisford; Whittlesford road, Little Shelford; Tunwells Lane and Hinton Way, Great Shelford; London Road and Haverhill Road, Stapleford; Duxford road, Whittlesford and Ickleton Road, Duxford. We will be carrying out speed checks in these areas. Parking issues were also raised. There was concern about parking in Church Lane, Sawston when the church has events on. It was agreed that we would monitor this and speak with the organisers to try and ensure people parked considerately and legally. Cllr Stone mentioned problems for the new bus service in Station Road East in Whittlesford. The bus has to turn in the road and sometimes illegally parked cars make this very difficult. We have already been and assessed the situation and spoken to a bus driver who explained the problems that occur. We will check this on a regular basis and record any action taken. 2) Anti Social Behaviour: A respondent to one of the surveys had mentioned problems outside the gates of Sawston Village College where some pupils were gathering and smoking and generally intimidating others. Several young people who completed the survey stated they sometimes felt intimidated by older youths gathering in groups in the villages and asked for police presence to help them feel safe. It was agreed therefore that, particularly with the lighter evenings, we would patrol areas where young people gather and offer reassurance to the young people and local residents. 3) Burglary: This is a continuation of a priority from the previous 3 months. Burglary is understandably a concern to all, and was mentioned by several respondents to the on-line survey. We are looking to set up more Neighbourhood Watch Schemes across the area and we are working to inform the public of current crimes via E-Cops and other means so that they can be alert to any suspicious incident. Local residents in Station road, Whittlesford have raised concerns about lorries attending and leaving the Scrapyard there with large loads of scrap that may be insecure. PS Davidson stated she had already asked the roads policing unit to check any such vehicle seen in the area if they suspected the load was insecure. Cllr Shelton stated he would raise the issue with the head of Environmental Services. The issue of scam phone calls and e-mails was raised and it was agreed that an article with advice would be prepared and sent to editors of local magazines so that it reached a wide audience. 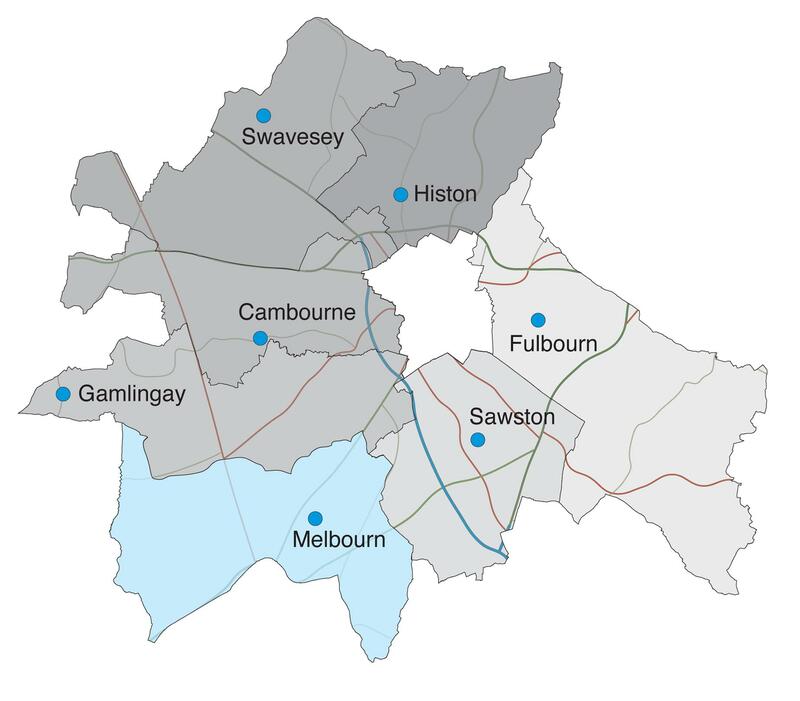 The next Sawston panel meeting will be held on Monday the 1st of July at 7:30pm. This will be at Sawston Village College. In the meantime if you wish to raise other issues call 101, tweet us @SouthCambsCops or e-mail sawston.npt@cambs.pnn.police.uk. The Gamlingay panel meeting will be held this Thursday at 7:30pm, Gamlingay Village College. Come and talk to local officers and hear what we have been doing to make your neighbourhood safer. You will also have an oppertunity to tell us what issues you would like police to look at over the next three months. The next Bassingbourn and Melbourn Panel meeting is to be held at Melbourn Village College starting at 7.30pm on Tuesday 16th April. If you can not attend please feel free to email any concerns to cambourne.npt@cambs.pnn.police.uk or tweet us @southcambscops before the meeting. We will take all comments and concerns to the meeting to add to the discussion. 1) Parking Cottenham High Street – A group of about 20 residents met with Sgt Paul Rogerson before the main panel meeting. A number of views and concerns were raised by residents. James Rowley from the Parish Council also attended and noted comments from residents. A working group is to be formed between residents, Parish Council and local businesses will be invited to attend. During the main meeting discussion continued about the issues caused by illegal parking. Residents drive ways are being used by Co-op and bakery customers, parked cars are also blocking safe access in and out of drive ways. General unlawful parking on yellow lines continues to be dangerous and makes the sharp corner difficult to navigate. An email and postal update will be sent to residents in the near future in regards to the working groups first meeting. (The panel were advised that marked police vehicles have been seen to park on yellow lines in this location. Specific occasions have been identified as Police officers responding to violent shoplifters. Residents are encouraged to ask questions about this, either on-line or by phone). 2) Road safety – Concerns were raised on-line about the A14 junction with Bridge Road, Histon roundabout. Motorists jumping red lights, using mobile phones and cutting up cyclists will be addressed. Parking in Herewood Close was raised by Histon and Impington Parish council, Sgt Rogerson is to meet with the residents group to talk about what more can be done. 3) Speeding – A new site was identified at the meeting via an online report, speeding out side Waterbeach Primary School was adopted as an enforcement site. Landbeach also complained about speeding through the village, but expressed that this is likely to improve in the short term as construction of the new cycle path starts. Work on Histon Road Cottenham will continue, but will be supplemented by speed enforcement on the High Street which was raised by attending residents. – Damage to the cross keepers hut in Histon continues, this is linked to the graffiti series. – Cllr Gymer asked if Police were planning to deal with year 11 leavers parties as they did last year. Insp Savage confirmed that this would be continued, year 11 leavers dates had been requested from all the schools. – Oakington Parish Council thanked officers for their presence on the guided bus, this has gone down very well with residents and asked if it could continue. – Cottenham residents expressed concern for a new group of young males who were causing a nuisance going door to door, running into roads and in one case bullying other young persons. Sgt Rogerson was able to update that he believed this group had been caught involved in anti-social behaviour and had also been reported to the educational welfare officer for truancy. PCSO Fuller is also working with families on Smithy Fen to help prevent further problems. The next Histon Panel meeting will be held on Tues July 9th 2013 at Cottenham Village college, 7:30 start. An online survey link will be posted here two weeks before the meeting. Histon panel meeting will be held on Tuesday 9th April 2013 at Histon Pavilion off New Rd, Impington. We start at 7:30pm, local officers will be onsite from 7:00pm onwards if you wish to talk. Please see the below link for the panel document which includes an update on previous actives and a three month crime and anti-social behaviour report. Follow @sgtrogerson or @SouthCambsCops for updates live from the meeting. 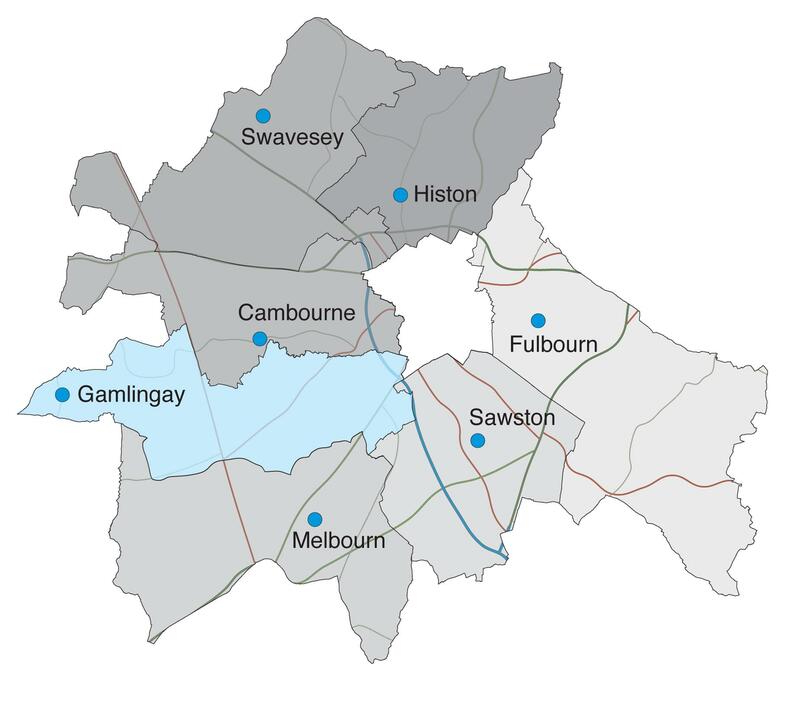 Sawston panel meeting will be held at Spicers Pavilion, access off Cambridge Rd Sawston on Monday 8th April at 7:30 pm. Please see the links below for the panel document and a table of speed check for the area.